It’s too easy to forget that many memories are magic and that a entire lifetime of love can come from something as simple as a Santa Ana neighborhood. This morning, my dad and I went to the funeral of Larkin Bean. He’s the kid in the brown shirt smack in the middle of the front row of the photo below. I’m the baby. Other kids in the photo include Vicky Bruce (the mastermind behind The Worthy Adversary), Larkin’s sisters Hillary and Victoria, my sister Jennifer, the Gallivan kids, and Jim Croal. Of the kids in this photo, four of us were at the funeral today. The parents of every other child, except for two (one set of parents have already passed) were also there. I knew most of the faces in the funeral chapel and was able to hug and connect with everyone I knew. Some I had not seen in more than 20 years. At the reception afterward, Larkin’s mother Jeanette came up to my dad, held him tightly, and said, “John, you are my oldest and best friend.” My dad quietly smiled, because it was true. They met the first day of the second grade at St. Joseph’s School in Santa Ana almost seven decades ago. As adults, they lived just a few blocks from each other, allowing their children to share their lives. Watching my dad and Jeanette’s 75-year-old faces as they spoke to each other, I saw the 7 year olds they once were. It was magic. 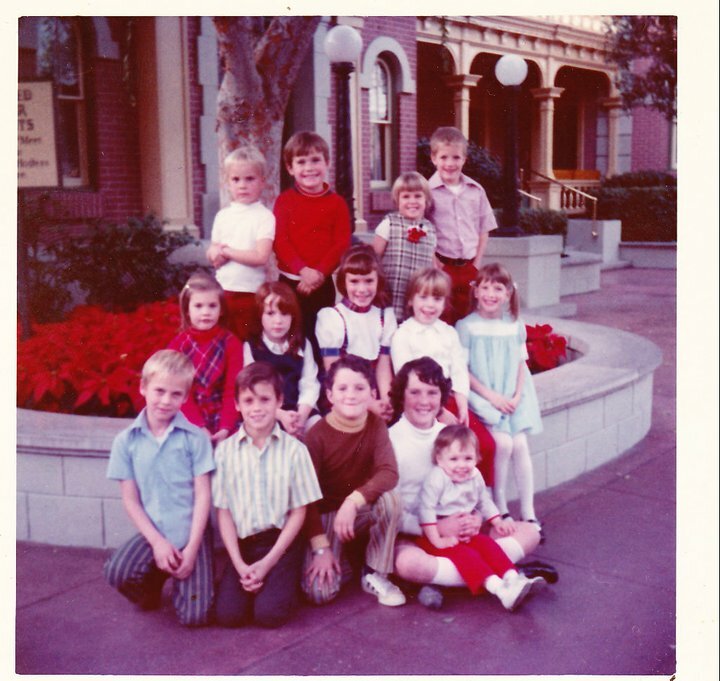 Spending time with everyone, especially Larkin’s sisters, and being surrounded by such love, history, and compassion, reminded me of something that I am too quick to forget: For all of the bad that we experience and remember, we must also remember the magic of a day at Disneyland in 1972. We must remember the magic that keeps us together before the untimely death of someone we love. I must remember how my father and Jeanette magically transformed into the second graders who became best and fast friends. I need to look at this photo and appreciate how blessed I am still in contact with most of the kids surrounding me. Larkin was a sap for the old stories and remembered everything that happened in the neighborhood. He reminded me of things that I had forgotten and told me stories about my mom that made me smile. He didn’t need to be reminded of the magic. He remembered the magic and relished it. And he let us share it. Maybe that was his gift to all of us. an absolute treasure who I could pick out in an instant! Not far from us all. Just enormously grand soul! & I wish them great strength & love. To Mrs. Bean you were like a 2nd mom to us all great love!! To his whole family great respect & love! Very nice Joelle. I think that all of Jeanette’s Santa Ana mother friends were there including Barb. They see each other several times a year, including Jeanette from Colorado. Larkin was a good man, I have enjoyed conversations with him over the years, he did electrical work for me, and he would always stop to chat whenever he saw me or Barb. I am amazed to see the picture with so many of the gang together. Thanks, this is an important article. I have just finished reading this beautiful tribute to Larkin and I am filled with smiles and tears. I, too, knew Larkin from a young age. I was there last night at the viewing but, unfortunately, not able to make the funeral today. I thought of all of you roday, at the moment of the funeral, attending the funeral today to honor Larkin and say good bye. However, my father was there. My mother, recently deceased, and my father went to high school with Jeanette and our families remained very, very close to the Bean family. Jeanette was my “second momma” growing up and she is still and will always very dear in my heart and life. I am only 2 years older than Larkin was and I remember sleepovers with the family and many good times playing with Vickie and Hilary. Larkin, being the middle child and only brother, always seemed to be in mine and VIckie’s way while we were playing girl things. As I got older and my parents eventually got divorced, the families went different directions. In the early years, we too, lived in Santa Ana together, only a bit further from each other in the city. I am sure, you and I, were at times together at Bean family gatherings. Unfortunately, we were not at the Disneyland party. Recently, I saw Larkin again about 4 years ago when my dad sent him to my house for some electrical work. Although, he wanted to be referred to as Greg. He said “only my childhood friends and their parents call me Larkin! 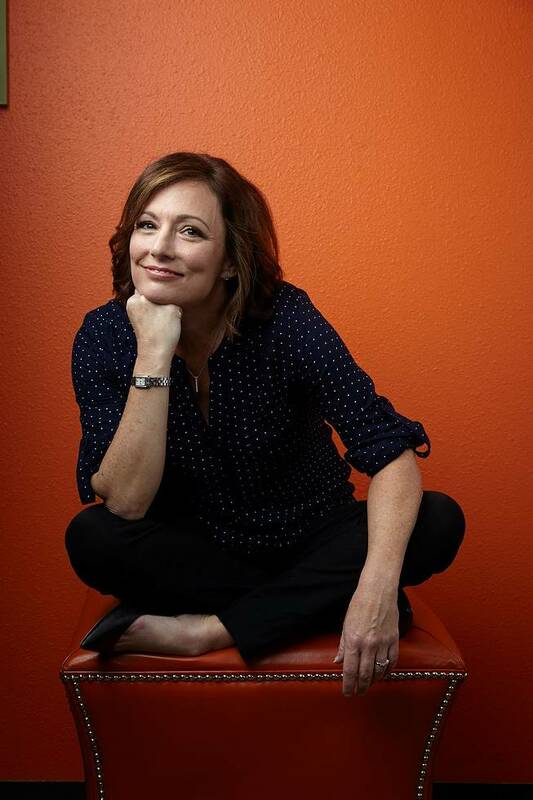 ” I said, “well that is why I will always call you Larkin.” At that visit, he had “confessed” in front my teenage son, mom, step father and husband, that he had had a crush on me when we were growing up together!. Funny thing is, i twas my son (19 years old now) who reminding me of this comment Larkin had made just last night. Even more humorous, I had forgotten about the comment and it was the ONLY thing my son remembered about my visit with our beloved Larkin. I, too, am so saddened by his passing, not only for him, but also for his own children but especially for Jeanette and his sisters. I am very touched by your remembrance of Larkin and your childhood memories. And , you are correct, we need to remember the special memories that we, as adults now, should cherish from our youth. I continue to be prideful of my parents and Jeanette’s long time friendship. Although, as I have gotten older and have been blessed with my own family, I will miss Larkin, but will always have my childhood memories and have that special humorous memory and his confession of his crush on me. At this point, I only regret not being there today. I said my goodbye last night, but being around all his friends and family who loved him so, would have meant so much to me. Thank you, Joelle, for sharing your memory of that day at Disneyland! God Bless you and your family especially your father for giving Jeanette a blessing upon seeing your father today, her oldest friend. There are not many people who can say that to a person after seven decades. I think Larkin did not realize how loved he was and is and will be forever!